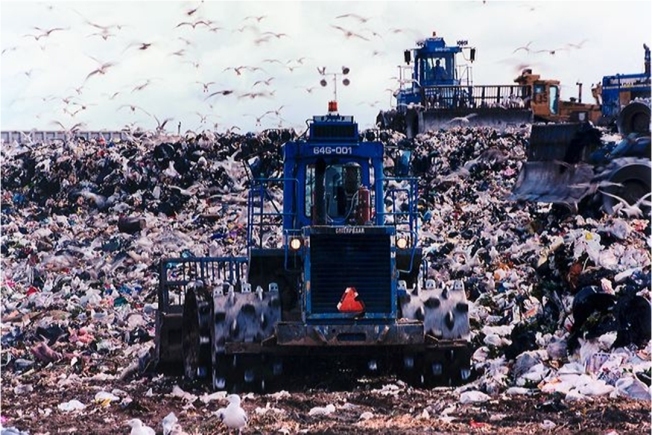 There are no roses and nothing is smelling sweet in this picture of Freshkills in its former incarnation as a landfill. Few would think of Staten Island when searching for poetic inspiration, especially of the natural sort. But this is what the Parks Department is asking of you. It is poetry month, after all. Parks is asking to see your poem in Haiku form about Freshkills. The Freshkills Landfill's much ballyhooed transformation into Freshkills Park is the ostensible reason for the contest, so the choice of form actually sort of make sense. Though most Americans, if they are aware of the form at all, think of Haiku only for its short 5/7/5 structure and ignore the fact that poems are meant to meditations on the natural world. The natural world in this case just happens to be a festering slag heap of decades worth of seeping garbage being transformed into the most important new Park in the City in 100 years. So good luck with that poem.